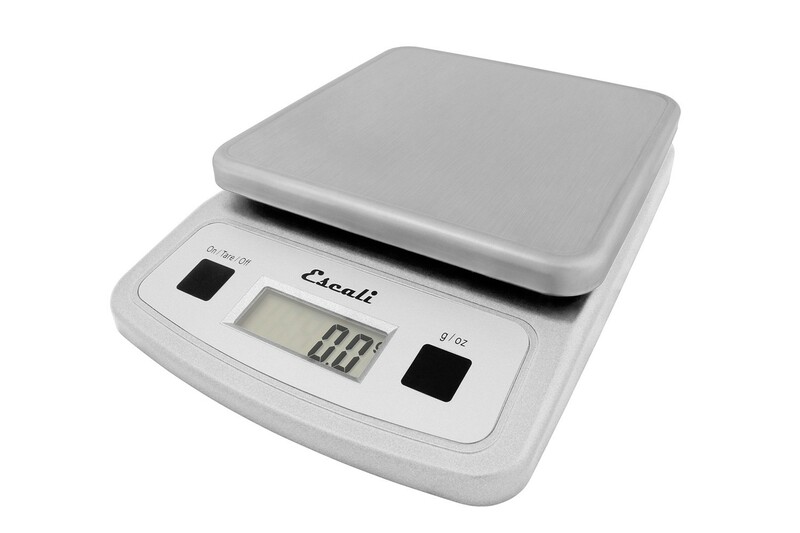 The Escali Supernova 13 Pound Digital Scale features a removable stainless steel platform and sealed controls for easy cleaning. It is NSF certified, durable, compact and portable. The variable increments allow the scale to measure small items with great precision while still measuring up to 13 pounds. To increase functionality of the scale, increments are very sensitive (0.05 oz) when measuring lower weights and then increases slightly (0.1 oz) allowing an impressive 13 pound capacity. The removable stainless steel plate is dishwasher safe for easy cleaning. The scale will turn off after five minutes of inactivity to help conserve and extend battery life if this feature is enabled from within the battery compartment.